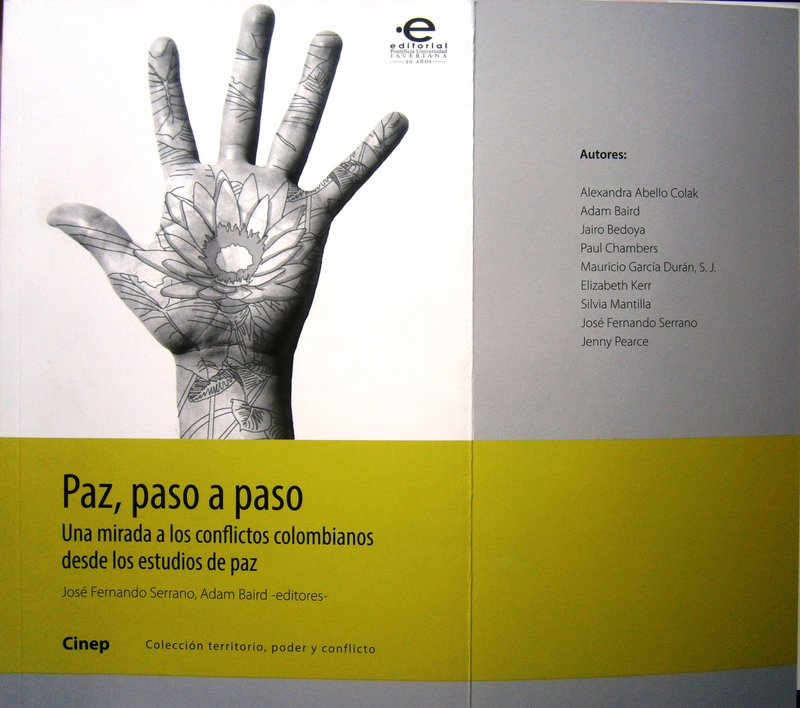 Several years ago some MA and PhD students at the Department of Peace Studies, University of Bradford got together with the idea of publishing a book about Colombia. The idea was to explore Colombia’s conflicts and to do that while also reflecting on the relevance of using a peace approach to understand those conflicts and to transform them. The book has chapters by Adam Baird (on youth and participation in Medellin), Jairo Bedoya (on rackets in Medellin), Paul Chambers (on peace studies in Colombia), Mauricio García (on peace movements in Colombia), Elizabeth Kerr (on Colombian internally displaced communities), Silvia Mantilla (on Colombian conflict and globalization), Alexandra Colak (peace approaches to studying security) and Fernand Serrano (on the participation of lesbian and gay organizations in peace building in Colombia). Congratulations to all the editors and contributors of the new book, especially our blog member Alexandra Colak! The book was dedicated it to the memory of Elizabeth Kerr.